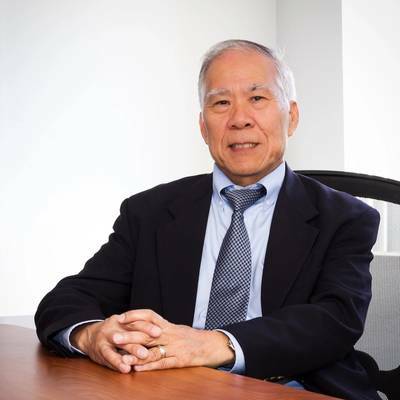 Marine acoustics company Noise Control Engineering, LLC (NCE) announced that it has hired Dr. Kam W. Ng, formerly the Deputy Director of Research at the Office of Naval Research, as its new Director of Business Development. Dr. Ng will bring his technical and managerial skills to NCE which includes expertise in the areas of Acoustics and Noise Control, Signal Processing and Fault Detection, Smart Materials, Active Nonlinear Control and Science and Technology Management. Dr. Ng’s knowledge and experience will help NCE to establish new markets, increase customer engagement and establish partnerships with academia and industry in order to expand NCE’s scope of work and abilities. NCE’s areas of specialty include the design, development and noise control engineering to solve habitability and underwater radiated noise problems on acoustic research vessels, fisheries vessels, naval combatants, auxiliaries, small high-speed crafts, workboats, icebreakers, submersibles as well as other nonconventional vessels. In its 23-year history, NCE has been involved in hundreds of ship programs, having designed and tested some of the quietest research vessels for U.S. and foreign agencies. With the advent of new IMO noise codes limiting noise on vessels over 1,600 tons and IMO guidelines on reducing underwater noise, NCE’s experience and expertise can assist owners, designers and builders to optimally address any noise and vibration challenges.